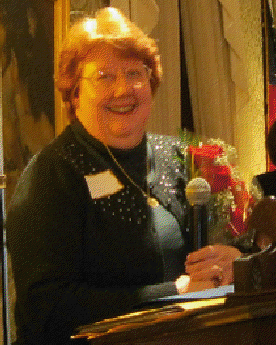 Marcia C. Bliss, upon receiving her Woman of the Year award on March 18, 2013. JAMESTOWN – The Jamestown Interclub Council has announced its Woman of the Year for 2013. During a banquet and announcement that took place last week at the Marvin House in Jamestown, the council announced that Marcia C. Bliss was this year’s recipient. The YWCA of Jamestown and the Elizabeth Warner Marvin Community House were the two agencies that nominated Bliss for the award. Bliss’s community service accomplishments include serving as a board member for the Child Advocacy Program, The Resource Center, YWCA of Jamestown, The Resource Center Foundation, the Marvin Community House and the Zonta Club of Jamestown. The Jamestown Interclub Council began in 1935, with the objective to sponsor various activities geared toward the advancement of community interest, and activities that can be accomplished through a united action. Currently Jamestown Interclub Council consists of 15 women’s groups.